This post contains affiliate links, which means that if you purchase an item through a link, I will receive a small commission at no additional cost to you. This helps to fund my blog so that I can continue to provide you with free content. And by small commission, I mean I mean small! I have yet to make any money from affiliate links yet. But here’s hoping! You’re probably saying, “Um, it looks like a crappily made bed, Anne, duh!” And you would be right. It is a crappily made bed – thanks to my husband. My husband is the world’s worst bed-maker. I hate the way he puts on the fitted sheet because it’s always just a little crooked so the corners don’t fit right and then they end up popping off. When he puts the pillow cases on, they are crooked too, so the pillows don’t lie flat. And then the covers. I mean, he just kind of throws them on there. I feel like, if you are going to make the bed, take a minute and make it look nice, right? Because I love going to my room at the end of the day to a nicely made bed. It just makes me feel happy. But he doesn’t care, so eventually I just stopped nagging him about it and took over all bed making duties. Problem solved. But last night, I dragged my tired, sick body upstairs and showed up to this mess. And honestly, it was the best sight I’ve ever seen! While I was asleep on the couch, he grabbed the sheets out of the dryer and made the bed because he knew I was sick and tired and I just didn’t want to do it. Writing it out now, it seems small, but in that moment it felt huge. Because it was. My husband’s love language is acts of service. He shows me he loves me. For years I missed these. I thought he was just plugging my phone in at night because he had a better memory than me. I thought he was changing the oil in my car because he likes cars. I thought he was letting me pick the TV show because he doesn’t like TV as much as me. Now I know he does these things out of love for me, to show his love for me. Once I realized that I felt like a shade was lifted from my eyes. 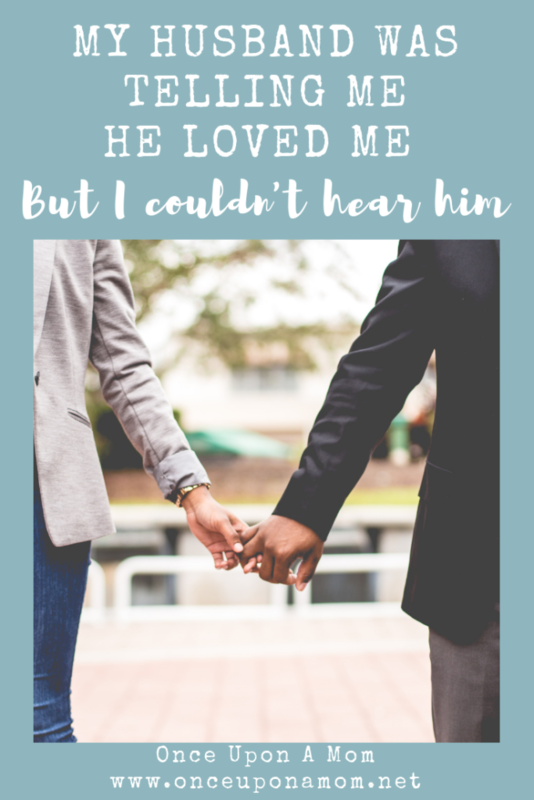 Instead of finding my phone plugged in on my nightstand and thinking, “Oh, that’s nice,” I now think, “Oh, he loves me!” Just knowing how he shows love to me reminds me not to take him for granted. 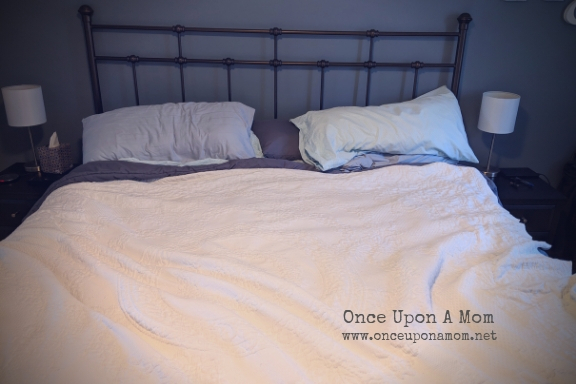 So this crappily made bed is so much more than just a crappily made bed – it’s a physical expression of love. When I walked into my room last night, I didn’t see the imperfections, I saw love – thanks to my husband. To find out what your spouse’s love language is, check out The Five Love Languages by Gary Chapman. So true! And such a good reminder that is easy to forget when you’ve been married for a while! Finding love in every day acts is the best kind of love. Thanks so much Jill! I do find that I tend to take him for granted since we’ve been together so long! I love these little moments that remind me how much he does care about me! Excellent story for Valentine’s day. And well written. Anne, this hit home. Thanks for sharing. I love to read your blog posts.